Author Q&A: Cari Z. & L.A. Witt + Giveaway! Please welcome Cari Z. & L.A. Witt to The Blogger Girls!! 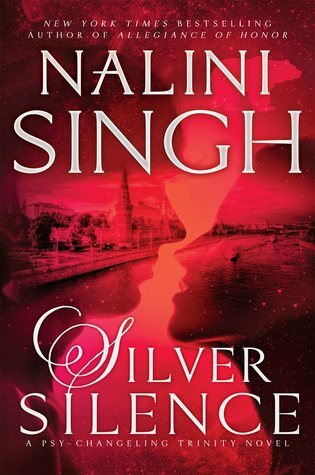 Tell us about the Bad Behavior series, where are you getting the inspiration for each book? 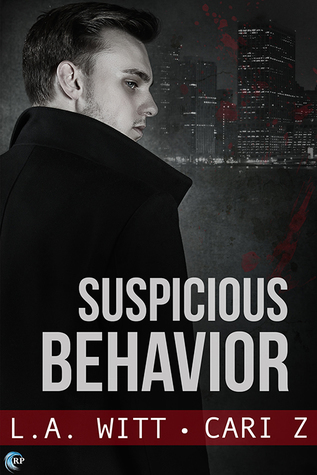 Cari: The Bad Behavior series is romantic suspense, with an emphasis on suspense and police procedure. There aren’t a lot of hot and heavy moments, but we managed to find time to develop the relationship in between the cases. The cases themselves are totally different in each book, which was part of the fun of it. We kind of picked a crime and then built the plot around it—for example, the first book deal with taking down police corruption, the second one has a serial killer, the third one is a kidnapping. It helped keep things interesting for us. Is it hard co-writing a series? Does the process take longer or is quicker than writing alone? Cari: It was so easy to write with Lori! That hasn’t been the case with, well, any of my other co-authors, but this collaboration was just kismet, as far as I’m concerned. Lori is a pro at working with others, and very adaptable, so I knew I was in good hands, so to speak. And for me it was a LOT faster than writing alone. L.A.: Definitely not hard! Cari is amazing to work with. I love co-writing in general, and I hope to do a lot more with Cari. Tell us a little about Romantic Behavior, what are the characters like and how have they changed since the start of the series? L.A.: I’d say Andreas has had to get his priorities straight, both regarding his family and his boyfriend. By book 4, he’s mellowed considerably across the board, and as I said, he’s gotten his priorities straight. As for the Romantic Behavior, it’s basically a chance for the characters to finally have their hard-won happy ending. That’s not to say there aren’t bumps in this one, but no one’s getting shot at or anything this time. What’s your favorite scene from the book? Cari: My favorite scene is either the very first one, where Darren is nervous because Andreas is acting weird, or the one where he finally loses it and tells off someone who, quite honestly, really deserved telling off at that point. It felt cathartic. And lastly, where do you see the series going from here? Cari: This is the end of the Bad Behavior series! It’s done, finished, fini, finito, and all the other f-words that mean the end. I’m really proud of how it’s turned out, and hopefully now that it’s done readers who were reluctant to start something without having an end in sight will feel ready to dive in. L.A.: Yep. I’m not opposed to the boys showing up as secondary characters in other books, but their story is done. We deliberately set out to make this one a trilogy with a well-deserved extended epilogue, rather than making it go on and on. Ongoing series can be fun, but not this one. Even though I am going to miss Darren and Andreas something fierce. 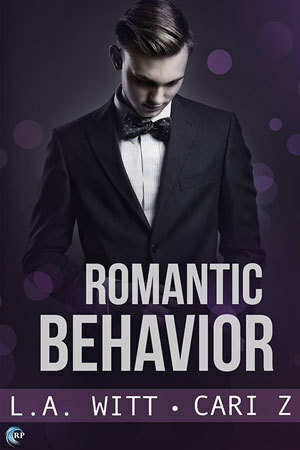 Book Review: Romantic Behavior by L.A. Witt and Cari Z. Authors: L.A. Witt and Cari Z.
Blurb: Detective Andreas Ruffner is no fool—he’s found a man who loves him, puts up with him, and has stuck with him through hell and back, and it’s time to put a ring on it. Darren Corliss is the love of his life, and he wants the whole world to know it. 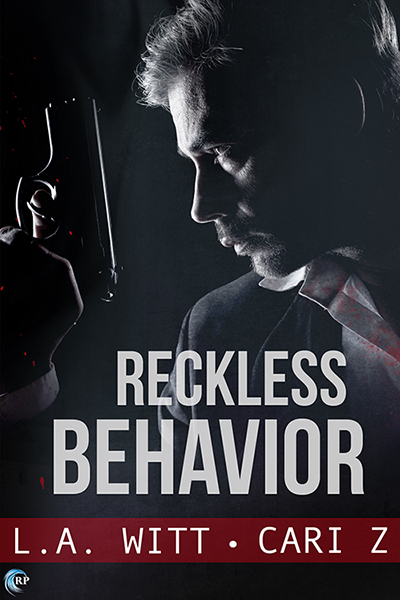 Book Review: Reckless Behavior by L.A. Witt and Cari Z.
Blurb: After too many years of putting his job first, Detective Andreas Ruffner is getting his priorities straight. He’s ready to spend some quality time with his adult kids, not to mention come clean about some things he should’ve told them a long time ago. And introduce them to his partner and boyfriend, Darren Corliss. Author Q&A: Cari Z. + Giveaway! 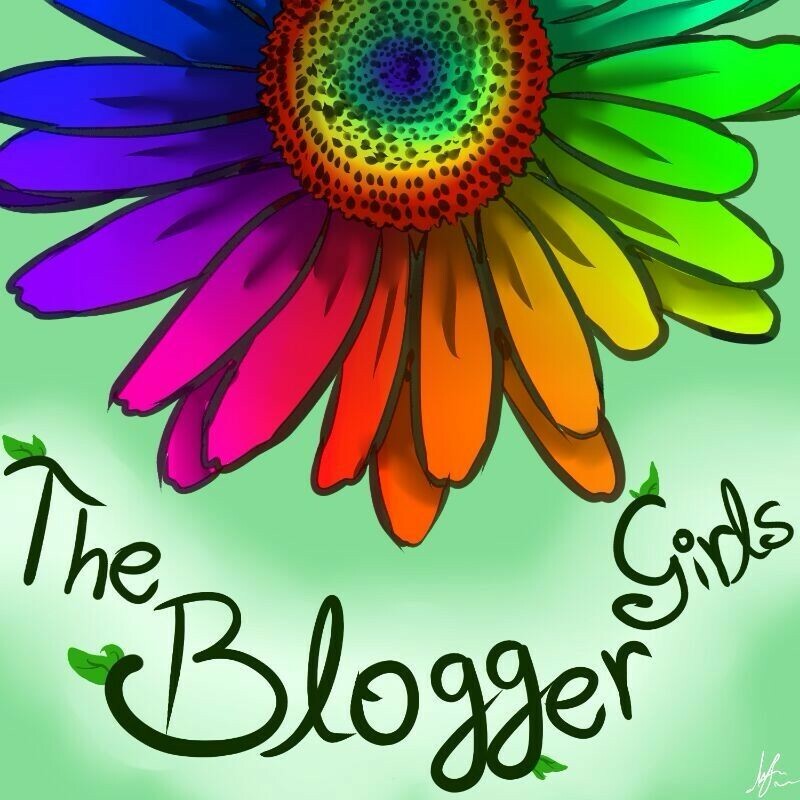 Please welcome Cari Z. to The Blogger Girls!! I don’t know that becoming an author is a choice for most of us, so to speak. When you’ve got stories to tell, they will be told, period. And while I started with m/m historical fiction, most of what I write is speculative because I like not being bound by pesky things like reality. What was the first scene you wrote that made you cry? Oh, jeez, when I killed someone. Not a major character, but a minor one I loved. The plot demanded death and I fed the beast, but it definitely brought a tear to my eye. Social media. I use Cold Turkey for a reason—when I’m on deadline, Google is good, Twitter is bad. 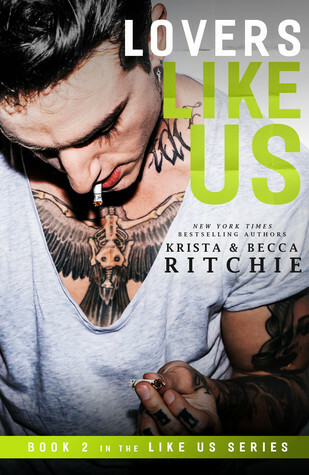 For readers who haven’t read you, do you want each book to stand on its own, or do you try to build a body of work with connections between each book? I haven’t written a lot of series, so generally I think most of my books stand on their own. I don’t have an overarching universe that people need to acquaint themselves with to find their feet with my writing. Except in my free stuff, but hey—free! Publishing gave me a sense of urgency that only increases. It’s not a bad thing, either—it’s beneficial to be able to hit a deadline in more ways than just writing life. Oh boy, of mine or someone else’s? I guess my favorite under-appreciated novel that I wrote is Tempest, which I’m going to be re-releasing in the new year now that I’ve got rights back to it. It’s a fairytale gone dark (ha, like most of them need any help) and I love almost everything about it. And for someone else’s novel? Huh, I don’t know if it’s underappreciated or not, but at this time of year I like to re-read Christopher Moore’s The Stupidest Angel. It puts me in that zombie-tastic holiday spirit. And a silly question…. What would you choose to be your spirit animal? Blurb: Detective Darren Corliss is hanging by a thread. In between recovering from a near-fatal wound and returning to work at a hostile precinct, he’s struggling to help care for his ailing brother. 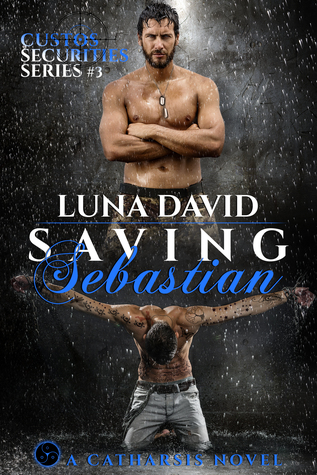 His partner and boyfriend, Detective Andreas Ruffner, wants to help, but doesn’t know how. And with his own family crises brewing, Andreas is spread almost as thin as Darren. 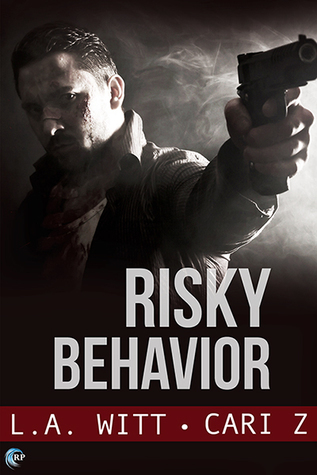 Book Review: Risky Behavior by L.A. Witt and Cari Z.
Blurb: It’s day one of Darren Corliss’s career as a detective, and not only has he been assigned a notoriously difficult partner, but the guy might also be a pill-popping dirty cop. Internal Affairs needs proof, and Darren gets to be their eyes and ears whether he wants to or not.